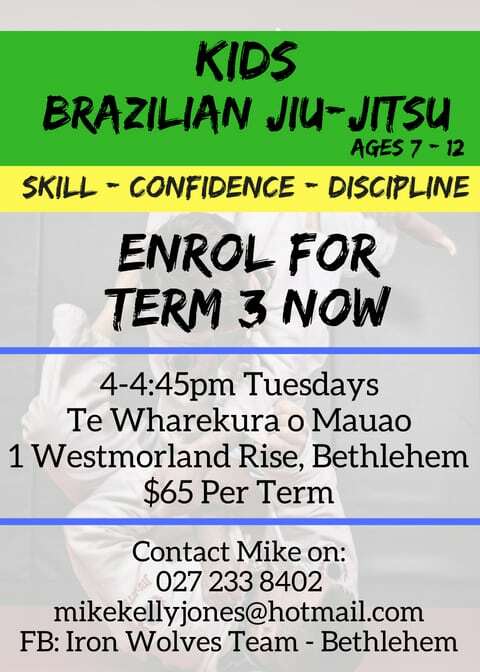 Kia ora and welcome to Term 3. An especially warm welcome to those who are new to our community. I hope you have had a positive start to our beautiful part of Tauranga. We have a school-wide focus on The Arts this term, culminating in a Art Exhibition on 4-6 September. Staff engaged in professional learning on Monday, introducing a programme called Pause, Breathe, Smile developed by the Mental Health Foundation of New Zealand. The research-based outcomes of the programme are an increased ability for students to control attention and to regulate emotions. As mentioned last term, NZEI (teacher’s union) members have voted to strike on August 15, this will either be a full day or half day strike (to be announced later this week). There is a range of claims including an increase in pay and better support for students with additional needs. A strike will more than likely mean the school will need to close, and alternative arrangements will be made for the care of students. 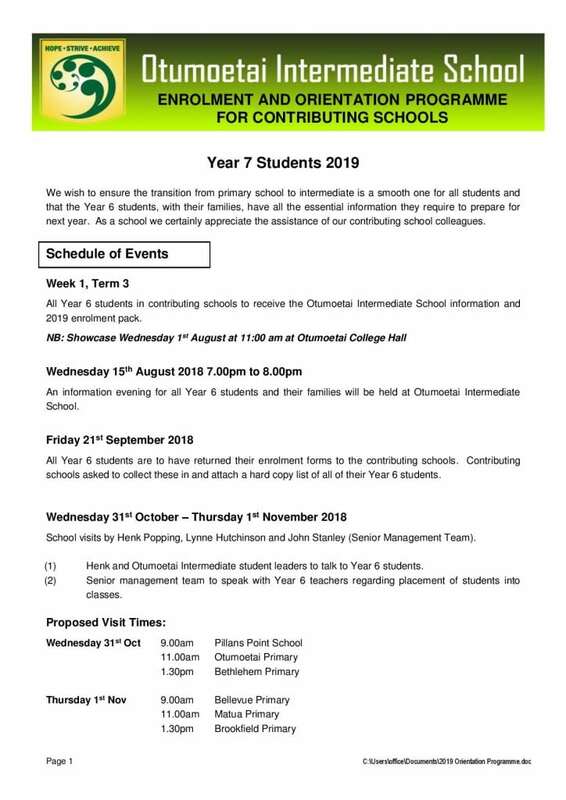 Otumoetai Intermediate have begun their enrolment process and Year 6 students will receive information packs (these have also been emailed to all Year 6 parents). Please note the dates on the pack. Next week we will be advertising a vacancy for our school librarian. The position is 15 hours per week and will be advertised on our website and others. 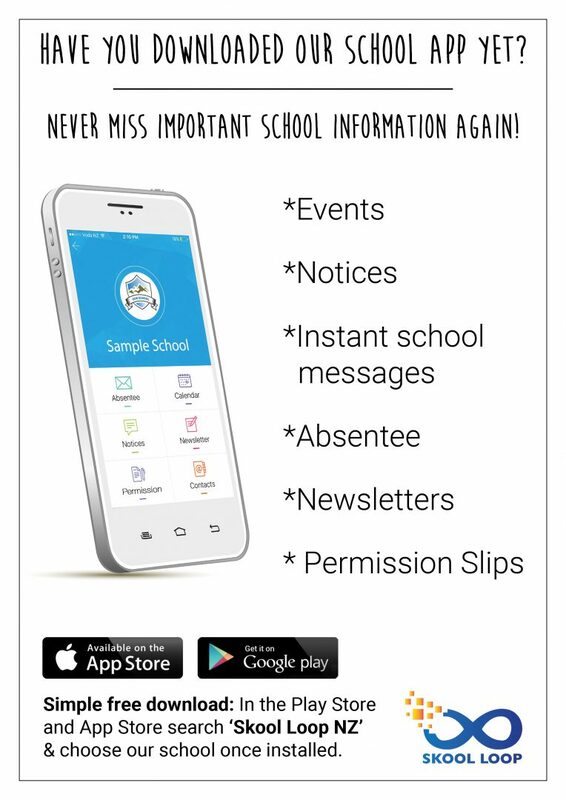 Application packs are also available through the school office. On Monday, we will be sending a survey out to our community to ask for your feedback about our future plans for growth. Please look out for this survey and have your say. We have heard several reports of incidents within the Otumoetai/Bethlehem area involving unknown adults approaching students. 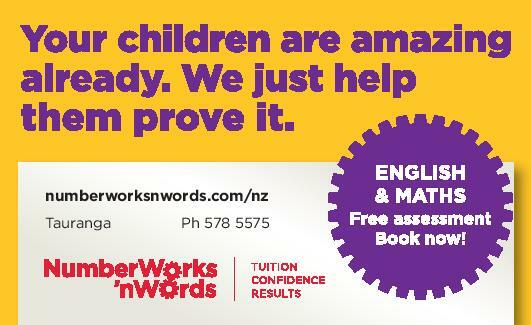 As per our child protection policy, we teach the Keeping Ourselves Safe every two years in conjunction with NZ Police. In addition to the information in this pdf, the advice education officers give concerning stranger danger is to yell loudly, and run to the nearest adult they trust (hopefully having identified houses or shops beforehand with students). Learner Conferences are coming up on 22 and 23 August. A separate email will come home soon with instructions on how to book a time. I wish you all a fantastic term ahead. 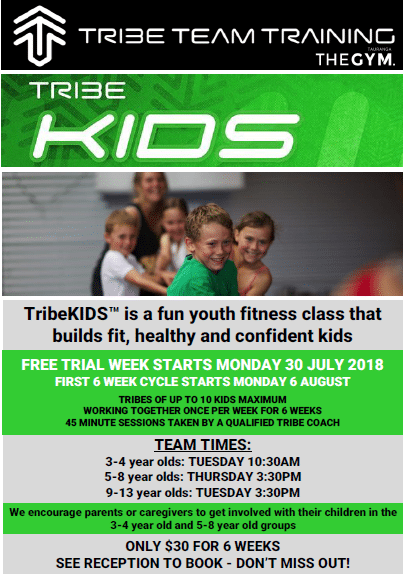 Hi my name is Friederike and my son Alec is in year 5, room 2 of Matua School. 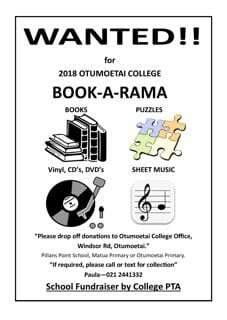 Kathy, our lovely librarian, has left Matua School and I have taken over the Scholastic Book Club orders for Matua School from her. I’ll do my very best, to deliver as great a job as Kathy has done in the previous years! Everyone should now have received this term’s Scholastic catalogue. There are many fantastic titles available at reasonable prices, but please don’t feel pressured by your child to purchase from these. Our school does receive 20% back to spend on books, which is wonderful, but I also understand this is not possible for everyone. Sometimes I purchase things just to put away as gifts for birthdays or Christmas. There is an option when ordering online to have this as a gift and I will ring you, when it arrives so your child does not know. The school does not accept cash. Orders can either be made online with credit card payment, or an order form with cheque may be brought to school. If neither of these is an option, please contact me on fvbultzingslowen@gmail.com or 0274957989 and we will work something out. We have had a few cases of children with Chicken Pox. Early symptoms are a fever and spots with a blister on top of each spot. The time between exposure and sickness is approximately 10-21 days after being exposed. If your child contracts Chicken Pox please keep them at home for a week from the first appearance of the rash or until all blisters have dried. Welcome to Term Three. We hope you all had a lovely break. The PTA Quiz Night is coming up on the 22nd of September. This event is an extremely popular evening and loads of fun. We offer tables for 10 – 12 people at $25.00 per person. A $100 deposit is required to reserve one of the tables for the night. More information about booking tables will come out soon. Come dressed in your best costumes as there is a great prize for the Best Dressed team. Previous years have seen some impressive outfits and we look forward to seeing what people have put together this year. On the night there will be amazing auctions which will be advertised before the Quiz so you can choose what you would like to bid on. A cash and eftpos bar will be available. This event is not BYO under any circumstances. Snacks will be available on each table as part of the price of your tickets. So get your team together, start organising your costumes, and decide on your Team name for the night. The PTA is also looking for businesses to donate items or services we can use for prizes on the night. There are also sponsorship opportunities to get your business name out there. You can sponsor a table and/or sponsor a round of questions. 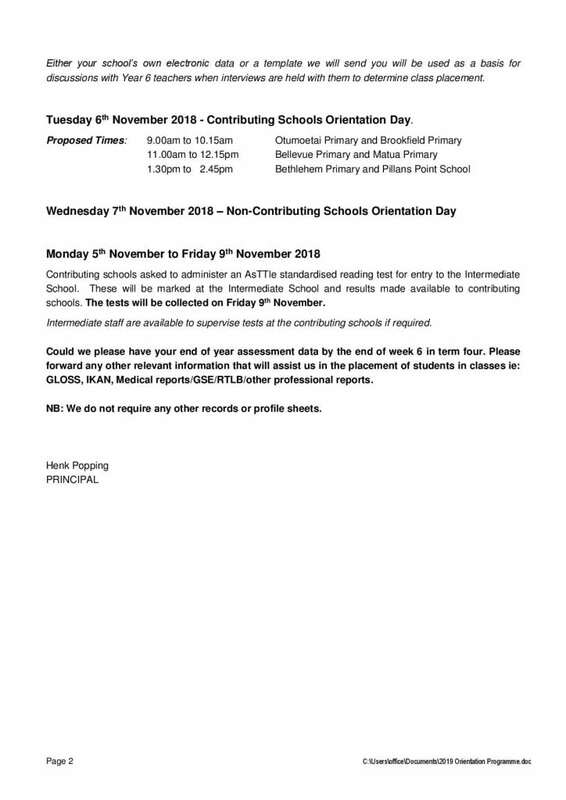 If you are interested in any of these options please email matuapta@hotmail.com. The PTA Christmas Night Market this year is on 8th November so keep the date free to do some Christmas shopping from some amazing stalls. If your child has had a vomiting bug, please keep them at home for 24 hours to ensure that the stomach bug isn’t spread around the class. Mrs Jenni Scott would love some more bits and pieces brought in from home for her art classes. Donations would be greatly appreciated and can be left at the school office. Thank you. Did you know that you already have the best toy for language development in your home? You didn’t buy it at a shop – actually, it doesn’t cost anything. It’s portable, adaptable, and best of all, it’s tons of fun! Your child loves to play with it, more than any other toy. That’s because your child’s best toy is…YOU! When you and your child play together without toys, you become the toy. We call this type of social play “people games” because these games only involve people, not toys. 13th August – Wetland Discovery Trip. Carmichael Reserve. 9am – 3pm. Rooms 4 & 5. 14th August – Wetland Discovery Trip. Carmichael Reserve. 9am -3pm. Rooms 1 & 3. 14th August – ICAS Competition. Maths. 31st August – East Cluster Winter Tournament (senior school).